Why were you banned? : Spam and troll. Why should you be unbanned? : I have learned my lesson. 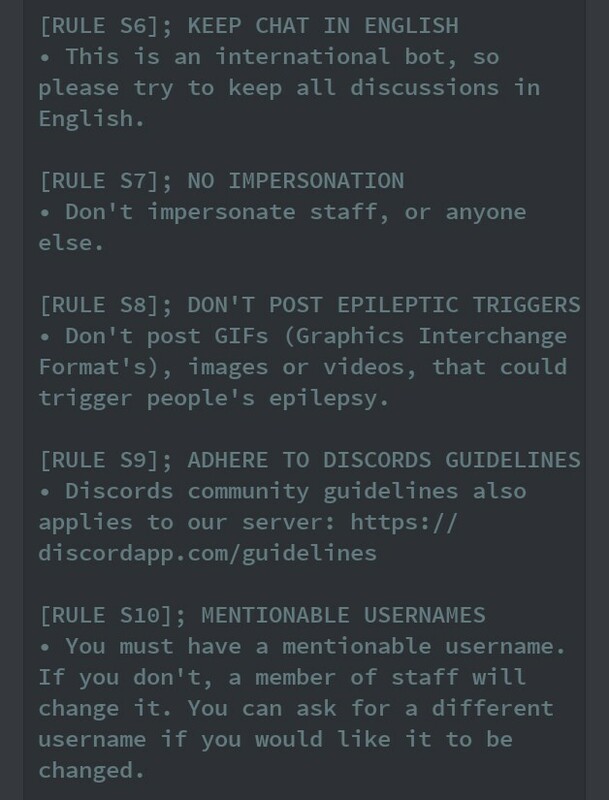 Read the rules. Don't troll. Don't throw a fit because you got killed by someone. And Spamming is the embodiment of evil when it comes to annoying people. Especially to admins and mods. Any additional information: Eh nothing really. Only thing is that one of my friends got perm Banned (Trading) and I would like to return the favor. His tag is LaffyetteDaGreat#9009 but I don't know his ID. Re: [RESOLVED]A ban appeal. Again. I'm extremely hesitant to allow this given that you had multiple chances to read the rules over the week that all your warnings/mutes happened. The point of our punishments is to remind you of the rules, mutes especially. By removing a user's ability to type, we hope that they will read up on the rules during the time that they are muted. Clearly you didn't spare a moment to do that, because you came back just a few days later and deliberately did the same thing that got you punished before. 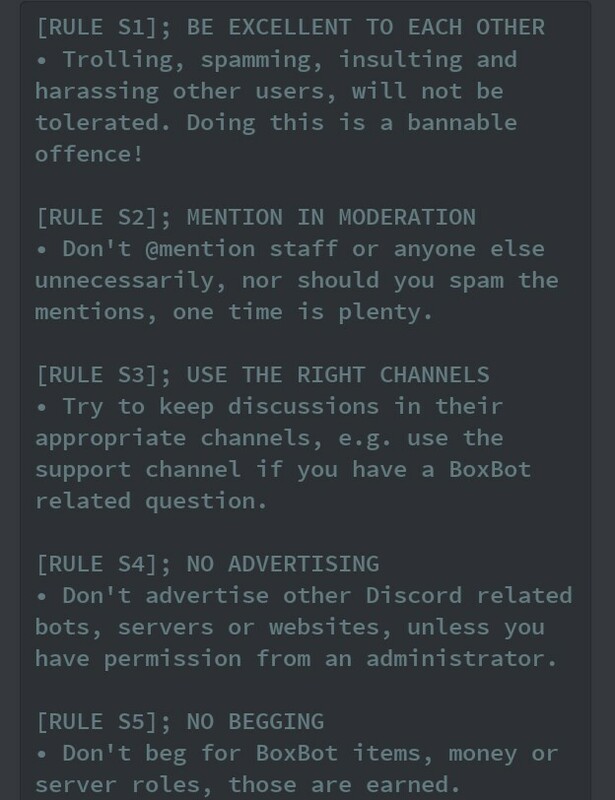 If you reread the server rules in the attached image(s) and state that you're aware of them, I can allow you to be unbanned with the understanding that the next rule violation is a permanent ban with no appeal based on your previous repetitive behavior. Also, I'll need you to elaborate on what you meant at the end there by "I want to return the favor". Not sure I understand what you meant. Also my browser is being weird and not showing the images, so if they're not shown here, give me a minute to figure out how to get them on.